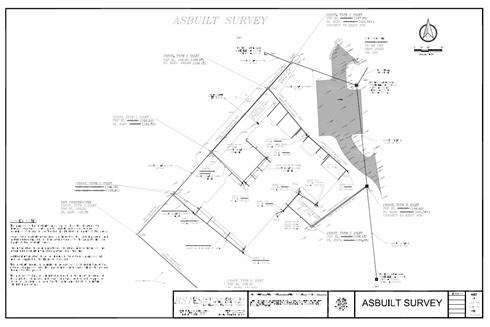 As-Built/Record surveys are documents that show the final horizontal and vertical field location of constructed improvements in relationship with the engineered construction plans, design changes and contractor’s field changes. Rapid Surveying follows this definition closely and uses it as a solid foundation to build upon for our clients. The as-built survey provided by Rapid Surveying is constantly adapting to meet our clients, engineers, and local governing agencies requirements. Rapid Surveying will maintain contact with the contractor on site to schedule pertinent as built information as the project progresses. We will keep as-built updated so when the project is completed the as-built can be issued in a timely manner, thus producing a very smooth submittal process. Understanding what our clients need, and keeping the lines of communications open about site changes makes for a great product. The very foundation of Rapid Surveying was formed on construction and as-built surveying. So, you can be assured that your needs will be met with a great deal of professional knowledge and expertise.